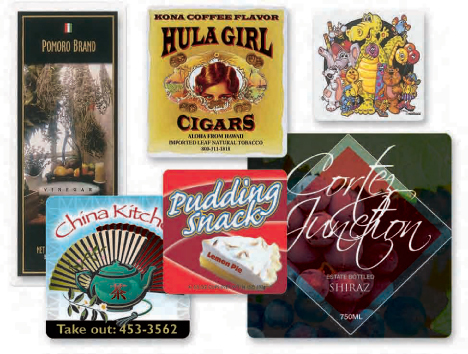 Use process color labels for packaging, promotions, product labels, and special events. You can choose from white gloss paper, white vinyl or clear vinyl as your label material. The label will print at 150 line screen, which as you can see by the pictures on this page, is almost photographic quality. The permanent adhesive ensures your label is around for a long time. The UV Varnish that is applied helps protect your investment and communicates a quality product. You will get 1,000 labels per roll. Please refer to the pdf catalog to the right for the most up to date pricing and sizes for Quick Ultimate labels.